There are over 18,000 pending cases against the manufacturers of Xarelto, with 21,000 Xarelto lawsuits pending in both federal and state courts (as of 4/2018). The most frequent issue experienced with the drug is pulmonary embolism. Here’s what you need to know about the drug and its link to dangerous blood clots in the lungs. If you took Xarelto and are suffering adverse side effects, you may be entitled to compensation. Call us for a free consultation at 855-551-1019. Xarelto (rivaroxaban) is a prescription medication and blood thinner used to prevent strokes related to blood clots. Xarelto is also a FXa inhibitor, often prescribed to prevent deep vein thrombosis which can lead to pulmonary embolism in patients undergoing knee or hip replacement surgery. Xarelto is prescribed to millions of people and a report indicated that about 25% of people with atrial fibrillation that have a low risk of stroke are often prescribed blood-thinning drugs, like Xarelto, that they don’t need. Unfortunately, Xarelto, though meant to prevent patients from experiencing blood clot-related strokes and pulmonary embolism overall, has been linked to actually cause such medical issues. A series of Xarelto pulmonary embolism lawsuits have been filed since the discovery of the issue. Xarelto is known to be a popular prescription drug for manufacturers, Bayer AG and Johnson & Johnson’s subsidiary Janssen Pharmaceutical, with sales expected to go up to $4 billion in 2018. Nevertheless, the companies have been criticized for putting Xarelto’s profit over the health of patients and have been accused of not properly informing patients of the health risks. Xarelto has been known to produce a series of side effects ranging from non-threatening to severe. Though a blood thinner, patients have stated that they still experienced a blood clot while on Xarelto. Aside from receiving a blood clot while on Xarelto, patients have also experienced blood clots after getting off the medicine as well as other side effects. Such side effects include: Coughing up blood, back pain, increased risk of stroke, internal hemorrhaging, uncontrollable bleeding, and more. Nevertheless, the most recurrent issue patients experienced while taking Xarelto was undergoing pulmonary embolism (a blood clot in the lung). In fact, a 2012 report displayed 158 cases of thromboembolism in patients while taking Xarelto. As a result, many have filed Xarelto pulmonary embolism lawsuits against the company, with individuals even stating that the “once-a-day” recommended dosage advised by the company still leaves many patients with the risk of experiencing a blood clot while on Xarelto. Though it has been issued numerous safety warnings and two black box warnings, Xarelto remains in the market. 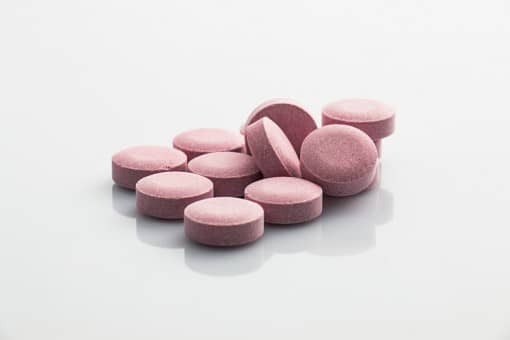 A study showed that a group of younger patients (with a median age of 66) experienced the adverse event of taking Xarelto after hip or knee surgery and developed severe blood clots. Just recently, a man had his Xarelto claim filed on February 20, 2018 after dying from pulmonary embolism, allegedly linked to Xarelto. In addition to this recent 2018 claim, there have been numerous class-action lawsuits building over the years against Xarelto, with many claiming that the manufacturers were aware of the serious risks associated with Xarelto for years. Approximately 4500 cases have been consolidated into a class action lawsuit in Louisiana. In regards to Xarelto lawsuit settlement updates, there are thousands of cases still awaiting trials. A few recent Xarelto lawsuit settlement updates involve four initial Xarelto cases, with three cases occurring in a Federal court and one in Pennsylvania. The four cases were selected for the trial to serve as “bellwether” results which would help guide future settlements and navigate the course of the Xarelto pulmonary embolism lawsuits. The three federal cases saw a surprise ruling in favor of the defense, with the jury’s finding that the warning labels issued for Xarelto did adequately warn patients about the risk of uncontrollable bleeding. The jury in Philadelphia however, awarded a hefty amount of $28 million to the plaintiffs. Nevertheless, that verdict was later vacated by the trial judge and is currently waiting to be appealed. The Philadelphia case still depicted the potential results of future cases awaiting trial, serving as hopeful news to plaintiffs. With the remaining 20,000 cases to be held in home courts, Bayer AG and Johnson & Johnson now face a tremendous amount of pressure, even if they are to win a great amount of the cases. If the defense were to lose even a few thousand cases, this could result in Bayer and J&J paying out millions of dollars similar to the Philadelphia case. The manufacturers of Xarelto can also expect to see a massive amount of court fees even if they successfully win all 20,000 remaining cases across the country. Each year, more than 600,000 people in the U.S. have a pulmonary embolism and unfortunately, more than 60,000 of those people die as a result of their complications. If you have experienced pulmonary embolism, or a blood clot while on Xarelto, you may be entitled to compensation and may be eligible to file a Xarelto pulmonary embolism lawsuit. With Xarelto being linked to more and more pulmonary embolism cases, there are Xarelto lawsuit lawyers ready to help individuals nationwide. Contact us today to determine if you have a Xarelto pulmonary embolism lawsuit on your hands.